How do I turn on or off the enhance fine lines setting in the CX1200 settings? 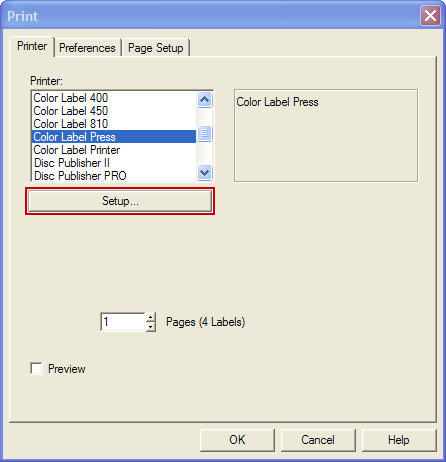 > Knowledge base> Article: How do I turn on or off the "enhance fine lines" setting in the CX1200 settings? 2. Go to the Print Quality Tab. 3. 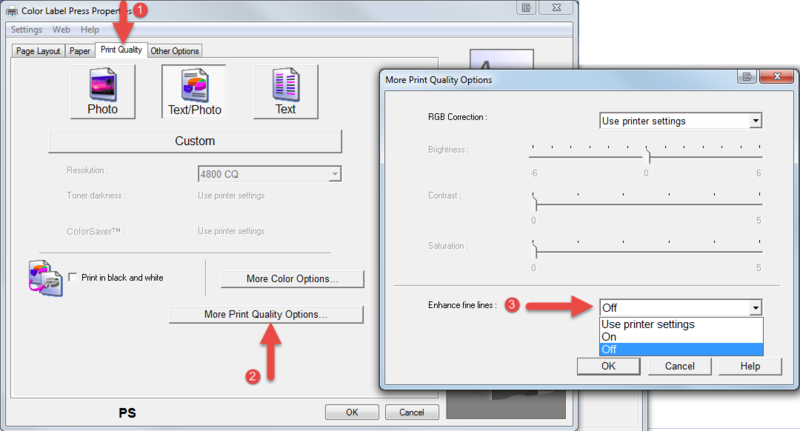 Click on More Print Quality Options. 4. Next toggle "Enhance fine lines" on or off. On = Fixes jagged or fuzzy edges, lines, or text in printed labels. Can potentially make the print darker over all. Off = Some images may have fuzzy or jagged edges. Prints the true colors of the image. CX1200 Print Specificatons for Fixed Die Cutters. Print Alignment is off by one or two pixels causing poor print quality. How do I align cartridges (CX1200).